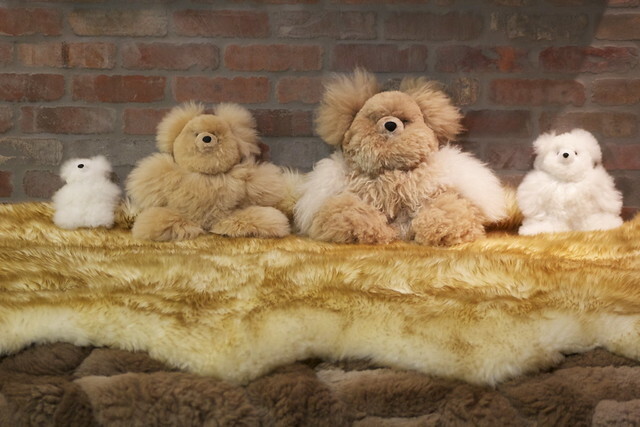 These incredibly soft and cuddly, handsewn 100% baby alpaca teddy bears are always one of a kind, making them a unique and special gift. Note: colors will vary from the picture shown due to the unique nature of the teddy. Please indicated what predominate color you would like and we will do the best we can with stock on hand.